Apply Blowback (2 square) to enemies at target. "A type of Piscis Therian often dwelling near the ocean. In addition to the renowned beauty of the female merfolk, their flesh and blood is believed to provide a source of eternal youth and immortality for other species, resulting in a hunted existence for these creatures. 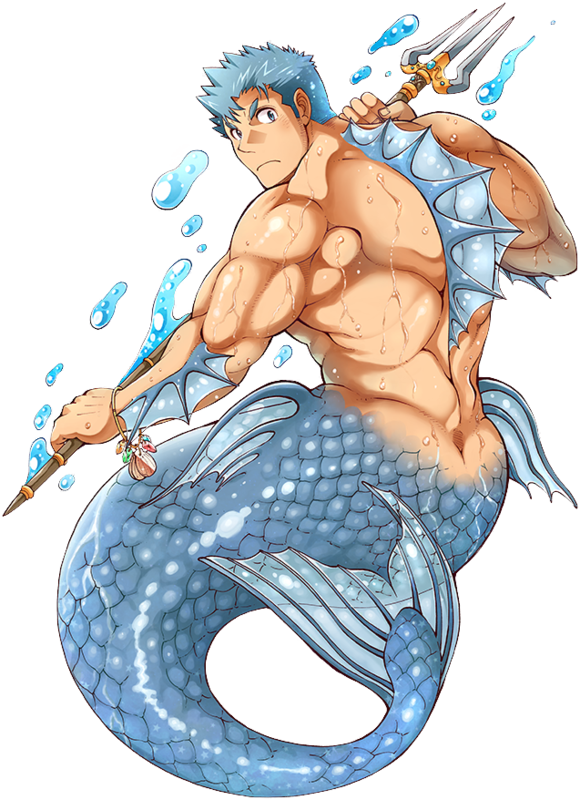 The macamores, the male of the species, are recognized as trained warriors of the sea, protecting that which resides within. The harpoons they carry can break a mast in two and a single hit can rip a hole into the hull of a ship, even when hurled from the bottom of the ocean. Merfolk are typically cautious of landlubbers, but this one has recognized your skill, strength, and spirit and decided to accompany you." 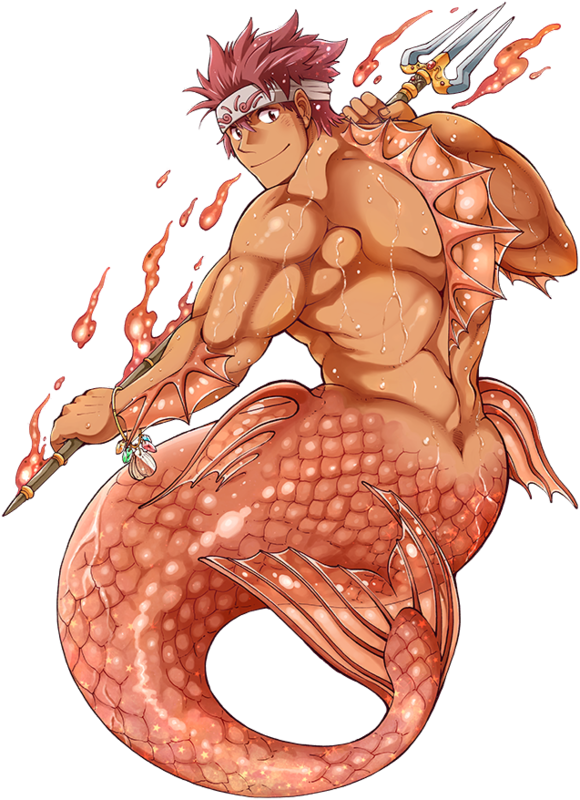 A type of Piscis Therian often dwelling near the ocean, In addition to the renowned beauty of the female merfolk, their flesh and blood is believed to provide a source of eternal youth and immortality for other species, resulting in a hunted existence for these creatures. The macamores, the male of the species, are recognized as trained warriors of the sea protecting that which resides within. The harpoons they carry can break a mast in two and a single hit can rip a hole into the hull of a ship, even when hurled from the bottom of the ocean. Merfolk are typically cautious of landlubbers, but this one has recognized your skill, strength, and spirit and decided to accompany you. This page was last edited on 29 December 2018, at 16:04.